Prince Harry once taunted Prince William about the latter’s future role as king. As kids, the Duke of Sussex told his older brother that he could do anything he wanted because he won’t take over the throne. Ken Wharfe, Princess Diana’s former protection officer, detailed an incident between the royal siblings during his interview on “Robert Jobson’s Royal Podcast.” He said that the discussion between Prince William and Prince Harry about the future took place while Princess Diana was with them in the car. “It’s alright, I can do anything because I won’t be King,” Prince Harry reportedly said. “You will be, therefore I can do what I want,” he added. But according to Jobson, the jibe between the two male royals did not trigger any serious arguments or feuds. 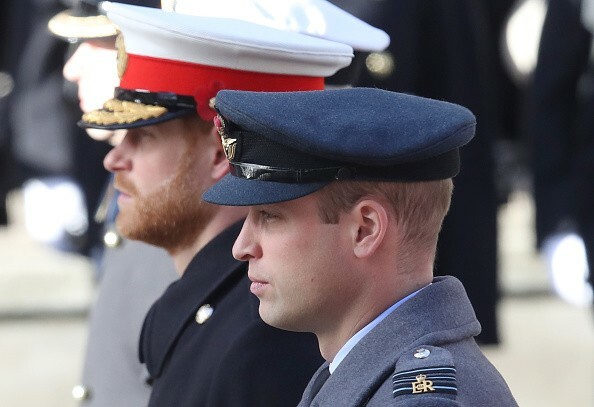 In fact, Prince William even liked what his younger brother told him because it meant that Prince Harry acknowledged the Duke of Cambridge’s important role in their family. Meanwhile, Jobson also revealed that even though Prince Harry will never become king, Princess Diana actually thought that he could be a good ruler. The late Princess of Wales even nicknamed her son “Good King Harry.” “Many, including Diana, thought that Harry — given his predilection to being quite robust and good at taking orders would have made a good king himself,” Wharfe said. Unfortunately, Princess Diana never got the chance to see how his two boys have been making a name for themselves and making her proud. Princess Diana passed away on Aug. 31, 1997, while Prince William was just 14 years old and Prince Harry was only 12 years old. The Duke of Cambridge and the Duke of Sussex grew up to be reputable men. They are now both married, and Prince William already has three children, Prince George, Princess Charlotte and Prince Louis. Prince Harry, on the other hand, is waiting for the arrival of his firstborn this month. Prince Harry and Meghan Markle just announced that their baby’s birth will be kept private, and details will only be revealed after they have enjoyed the royal baby’s arrival as a family.